Either you love bacon, or you're wrong. How's that. Okay. Maybe I just offended about half of the world's global population using that introduction, but I just won over the rest of them. I'm a red-blooded American girl who eats a few pork items now and then. I don't eat it every day, but let's face it, this isn't your everyday recipe. This is something for the book of savory-ridiculousness. 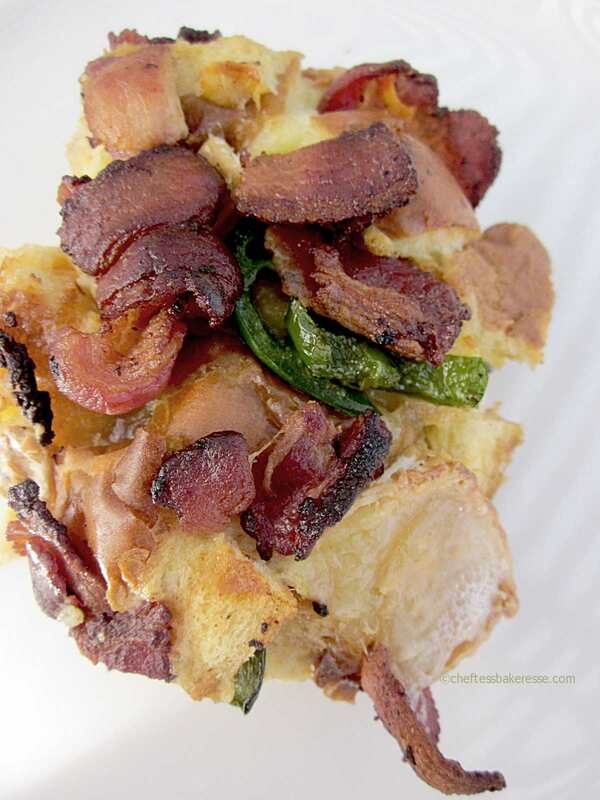 A savory peppery brie enshrouded in a creamy fluffy bread-type pudding that is topped with a crispy, salty,smoky layer of bacon studded with slices of jalapeno. It's a freak-show. A good freak show. First let's talk about Stratas. When I first met my soon-to-be Mother in law, the subject of "family favorite meals" came up in conversation. That wasn't new to me at the time as a young chef chick. "Meal time" is always a safe subject when one finds out that a soon-to-be-daughter-in-law can cook. To her credit she didn't delve into hard-core political rants (that was for later) but we did talk about the neutral ground of what she had made Ace for dinner for years. That was fun. I learned a lot about his childhood from that first conversation with her. 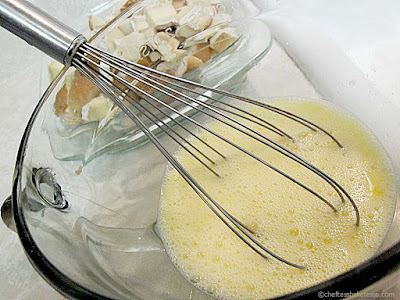 She mentioned a few times this magical "cheese souffle" that she made often for the adorable tyke. I cringed. Oh stink. He was raised on souffle?!! Seriously?!!! She whipped out the family photo album. Several hours later and several tattered photo albums later, I learned that her cheese souffle was really a cheese strata. Phew. That was good news. If ace was accustomed to real souffle for dinner, my life would be a lot more complicated! 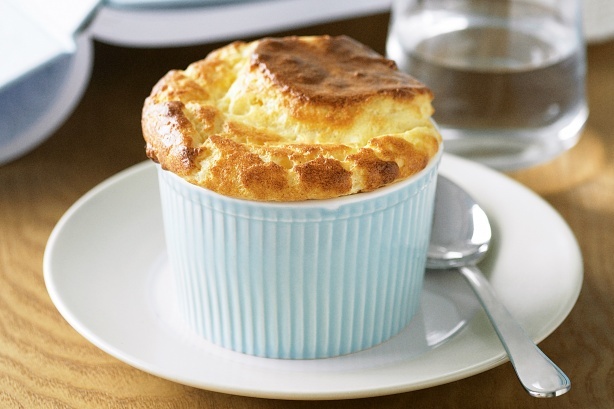 Cheese Souffle requires whipping egg whites (ugh) and making a thick cheese sauce (doable but not something I enjoy on most days) and folding things together with diplomatic poise and baking them to perfection in a lovely ceramic dish that is just the right size. Daggumit Martha Stewart. I could see fresh pressed linen and crocheted doilies in my future. All this meal preparation is then executed with precise timing within minutes of Ace's arrival home from work to assure it could come out of the oven fluffy and elegantly structured. That's a lot of freaking pressure for a young bride. 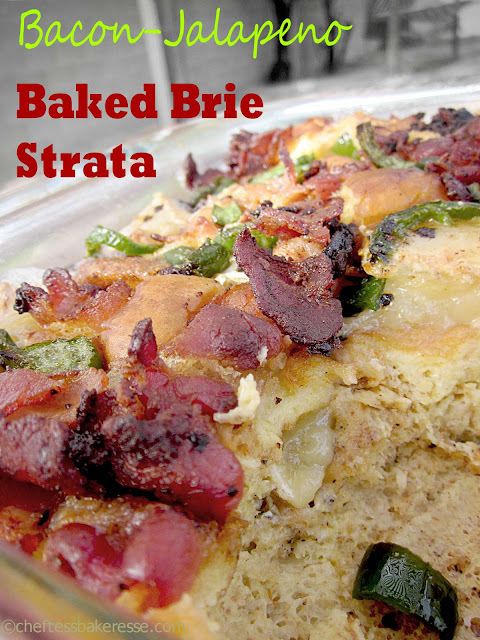 Cheese Strata on the other hand, is a totally delicious, simple, make-ahead heaven of a dish that any gal could do in minutes and could not mess up! 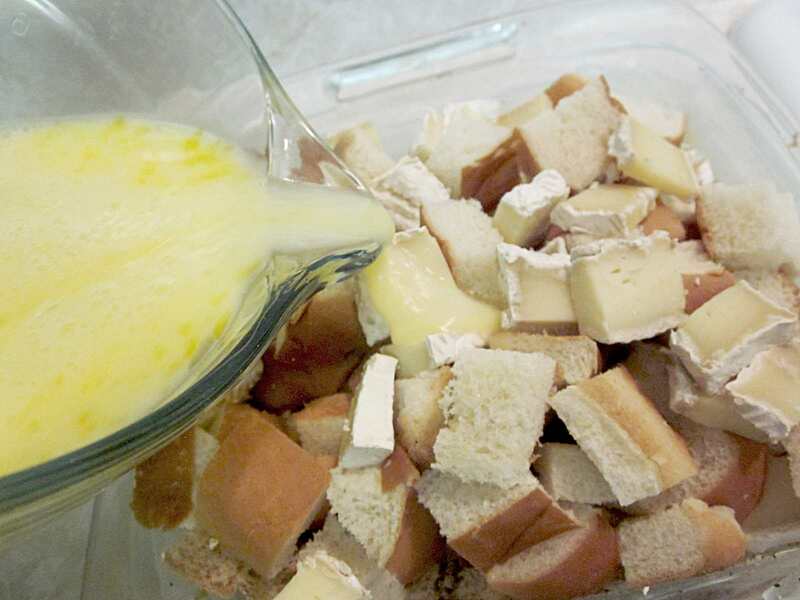 It's bread cubes combined with an egg and milk batter topped with cheese or having the cheese folded into the bread mixture. It's then good for keeping in the fridge and baking at dinner time, or baking ahead and reheating individual servings in the microwave or oven. Turns out, my Mother in law (AKA Cussing Granny) has been one hundred percent a heaven of a person to have as mom and friend and certainly not one to make pretentious dishes or expect any over indulgence of her son with anything but love and attention. I adore that. I adore that she is a real down-to-earth woman. I'm so glad that's what she wanted in a daughter in law. Enters today's variation on a cheese strata. Baked Brie. Bacon. Jalapeno. This is a go-to. This is a nod to the simple cheese strata that Ace grew up with, made into a more gourmet creation by a chef-wife who still has to cook meals for a family, on a budget, every day of the week. 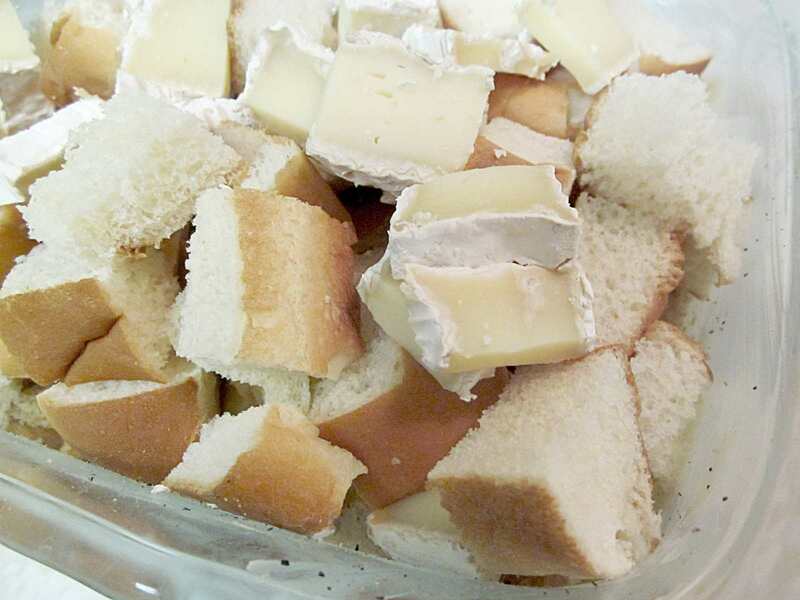 Butter the inside of an 8X8X4 inch baking dish and fill with bread cubes topping with brie slices. Crack fresh black pepper over the mixture and fold them together. Combine the milk and eggs. 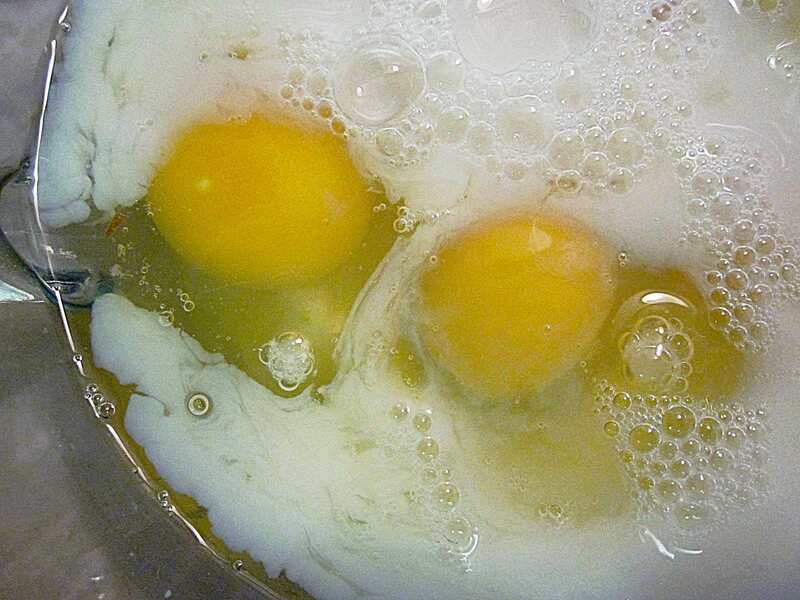 Add salt and pepper to them. Pour the egg mixture over the bread and brie mixture. Allow to sit a while. Heat a large skillet over medium-high heat 3-4 minutes. Add the bacon. 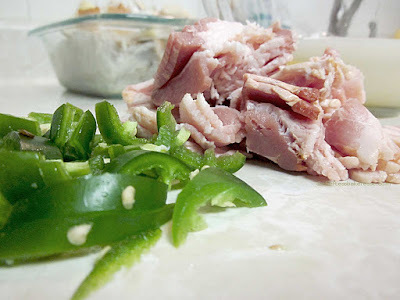 Cook until almost crispy then add the jalapenos. Cook 2-3 minutes more. 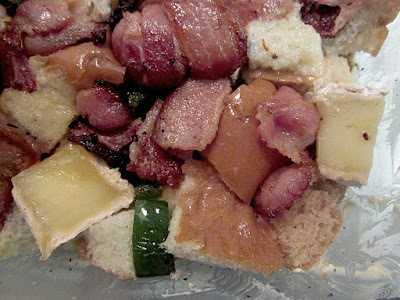 Distribute the bacon mixture over the bread-brie mixture, leaving most of the bacon on top...meaning seriously don't mix them up. You know why? Because when you bake it the bacon will stay crispy. At this point you can either put the unbaked strata in the fridge and chill for up to 1 week, or bake for dinner/breakfast right now. We usually opt for baking it right away. 350 degrees 20-25 minutes until bubbly and delicious. 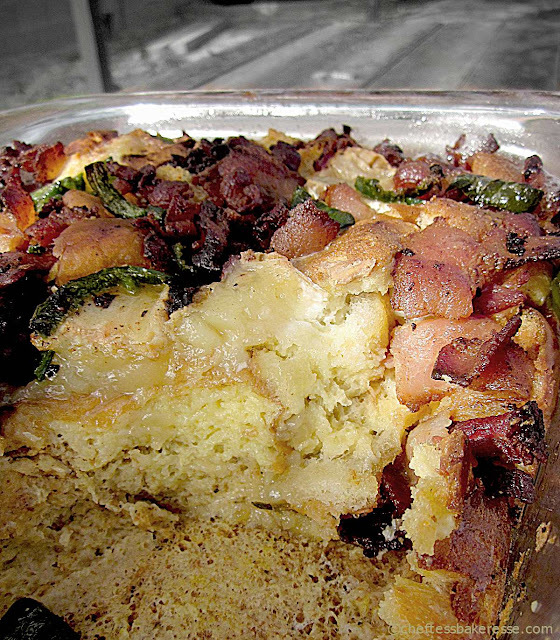 You'll have this thick rich layer of a cheese strata topped with a crispy bacon jalapeno layer that will seriously rock the universe. Most of the time we drizzle it with maple syrup or a simple apricot jam for a savory-sweet yin-yang magical experience. Serve with a simple salad and vinaigrette and dinner is served. Serve with a fresh fruit salad and breakfast is served. Serve it with both kinds of salad and nobody will know what time it is. 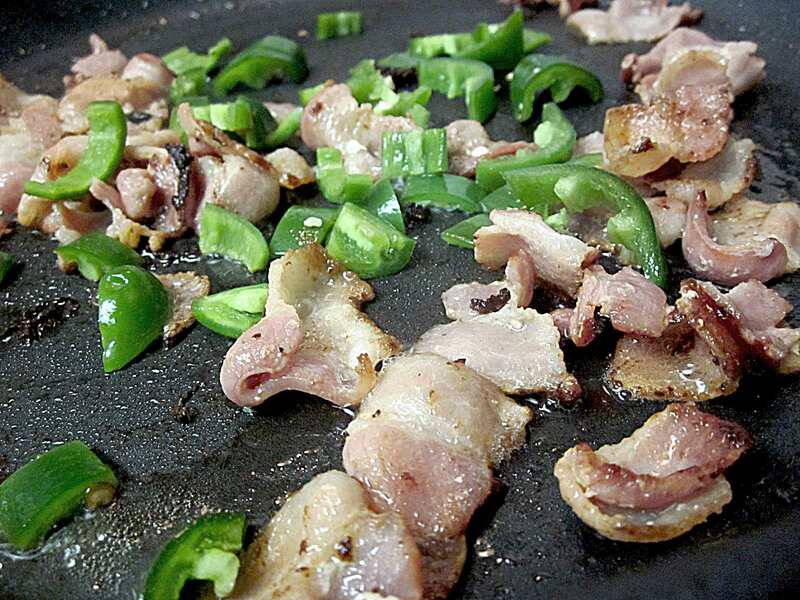 In the pictures of the bacon, it looks like it is just green peppers and not Jalapeno peppers. Am I correct? Those are fresh jalapeño without the seeds but definitely jalapeño. Xoxo! 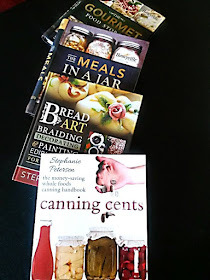 Hi Chef Tess, Maybe you can help me I have your 'Meals in a Jar Handbook' and would like to make many of the meals therein. I have one problem: I'm allergic to dairy foods. I'm not lactose-intolerant but actually allergic to casein, one of the principal proteins in all dairy foods. What happens if I eat dairy foods? Almost instant asthma attack. So I just do not eat them. Have you any advice for substituting for sour cream powder? I use a product made by Tofutti, called 'Better than Sour Cream', and it's good. But it's not a dry, packable product. I can add it later on if need be. But gee, it sure would be nice to be able to have the whole soup (or whatever) packed in one mylar bag or jar. Especially since my daughter also has this allergy, and I'm planning on sending her several good 'Meals in a Jar' (actually in a mylar bag) for a Christmas present. Thanks very much.